Indiana Crawl Space Repair can transform your wet and dirty crawl spaces into dry and usable space by installing our vapor barrier systems. We offer several liners ranging from 6 to 20 mil in thickness. A vapor barrier is the best solution to drying the crawl space because it prevents moisture from coming up from the floors and out of the porous concrete walls. Vapor barriers seal the moisture in the ground. A vapor barrier seals out moisture from the foundation and the ground floor evaporating into the home. Once installed, the crawl space is turned into a semi-conditioned space causing your floors to feel warmer in the winter and your energy bills to go down every month. Makes your home more comfortable by reducing the humidity in the home. Increases the value of your home – most buyers prefer a dry crawlspace. 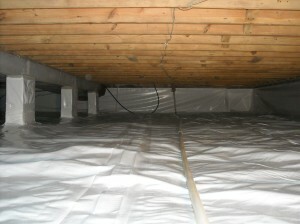 With a vapor barrier installed in your crawl space, all those moisture-related problems may be gone for good. Affordable Solutions for every budget. 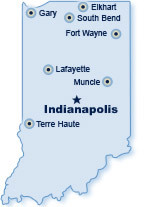 Don’t let your crawl space turn into a nightmare, contact Indiana Crawlspace Repair today for a FREE no-cost estimate for our vapor barrier system installation. Our vapor barrier systems will keep your crawlspace dry and give you peace of mind knowing you didn’t stretch your wallet for a quality system.